Youth Soccer (SPRING): The 6-on-6 Youth Soccer League is an opportunity for children to learn this exciting, global sport. Coaches will help them develop soccer skills in a fun, encouraging atmosphere in the spring. Games will begin the week of August 19. 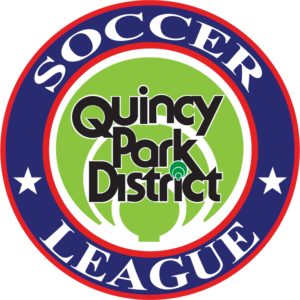 Adult Soccer (FALL): Quincy Park District Adult Soccer League teams will play a total of 6 games at the Boots Bush Soccer Complex, 42nd and Maine. The game format will be 11 on 11, and consists of two, twenty-five minute halves. Games will be played on Sundays, 1:00 p.m. – 4:00 p.m. AGES: 18+ September – October, 2019. Registration deadline August, 23rd at 5:00 p.m.